Being a former Capital City of Poland, Kraków is a magical and very picturesque old town you can easily discover by using public transportation (trams or buses) or even by travelling on foot. Krakow’s centre can be divided into two main parts – the Old Town, and the Kazimierz district which was formerly a Jewish Quarter. Here are some hints on what to see and which places to visit in the most magical city of Poland. Old Town — this area is relatively touristic, but its beautiful alleys and buildings make it very memorable and charming. It’s definitely worth taking a stroll through this area and admire its main points: St. Mary’s Basilica, Kraków Barbican and the Cloth Hall, city defensive walls and much more. Kazimierz District — after wandering around the Old Town, most tourists go a little further as just 10 or 15 minute walk away you’ll find the area full of historical old buildings, nice pubs and tasty local cuisine. Podgórze District — this is one of the city’s most evocative and mysterious district with lots of green areas, bars and pubs. Kościuszko Mound — it’s the most unique outdoor attraction located near the Old Town in the Salwator district. Climbing to the peak is a bit of a challenge, but the amazing views are rewarding all the effort. Oskar Schindler’s Museum — a large and spacious museum that tells the story of horror people had to withstand during the Nazi occupation that took place in Poland, with a special focus on the Kazimierz district and Kraków. Wawel Royal Castle — the Gothic castle built by Casimir III the Great, who reigned as a king of Poland from 1333 to 1370. Auschwitz-Birkenau State Museum — it is said to be the most overwhelming, moving and disturbing place you will ever visit, but it’s a must for all of those who wish to explore the past and see for themselves the horror of the Nazi death camp. “Wieliczka” Salt Mine — one of the most popular tourist’ attractions, the salt mine is located in Wieliczka, a small village 14km on the south east from Kraków. It is preserved in perfection condition and placed on the UNESCO list of the World Heritage Sites. Kraków is famous for its nightlife, but don’t think that Old Town’s bars and pubs are all you’ve got. Visit the Kazimierz Quarter for more interesting bars and clubs – you will definitely meet more locals there. Try typical Polish fast food called “zapiekanka” – you can get the best ones in the centre of the Kazimierz district. For dessert, get yourself a traditional “kremówka”, the world-famous cream cake that was the favourite pastry of Pope John Paul II. Go for a mid-afternoon coffee at Café Szafe where one of the most famous Polish movie directors Wojciech Smarzowski filmed some of the scenes for his latest movie. The Dragon’s Parade (May) — the magical dragon’s festival comprises beautifully arranged event of lights, music, and handmade dragons carried by the boats on the Vistula River. Kraków Jewish Festival (July) — as the celebration of the Jewish heritage in Krakow, the festival involves music concerts, paintings exhibitions and film-screenings dedicated to the Jewish culture, tradition and heritage. Wianki Festival (June) — it’s a festival of music that celebrates the beginning of summer and during which you can enjoy around 6 stages with more than 50 concerts of Polish and foreign artists. Kraków is teeming with the energy and joy that spreads around the town. 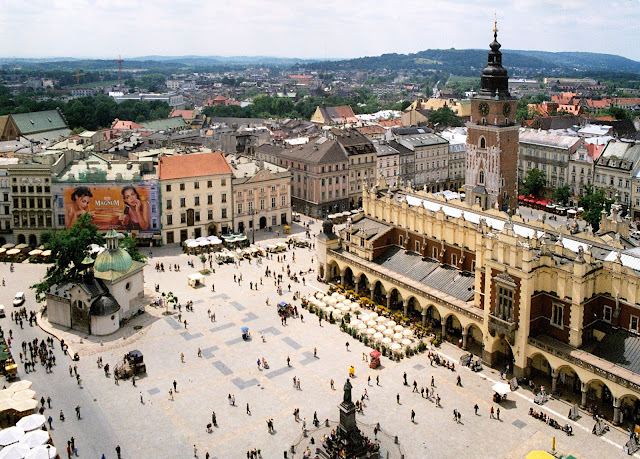 Visit Kraków and get the cheapest accommodation by using hotels.com coupon codes and promotions from Picodi Singapore!